The Nigerian music industry is unarguably the largest in Africa and one of the biggest in the world. The beautiful female musicians on this list are steady holding it down for the female folks in the industry and are also contributing immensely to the growth of the industry. These Nigerian female musicians are not only beautiful,they are talented as well. In this post we are quickly going to run down the list of some of the most beautiful female musicians in Nigeria this year. Munachi whose birth name is Munachi Gail Teresa Abii Nwankwo is a former winner of the Most Beautiful Girl in Nigeria (MBGN). The petty ex beauty queen won the title in 2007. The Imo State born ex beauty queen is also a rapper, she was one of the female rappers to represent Nigeria on BET Cypher,however for some time now the rapper hasn't release any new singles,the last time she released a single was in April 2012 when she released two singles titled ''Here To Stay'' and ''Down Down Low''. Nevertheless she is still numero uno on our countdown. The second beautiful musician on our list this year is Lola Rae. 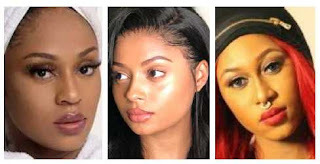 Lola Rae's birth name is Rachel Akosua Funmilola Garton,she was born in 1991,Lola is a Nigerian born singer and dancer of Ghanaian and British descent. Her most successful single was "Watch My Ting Go",Lola grew up in Nigeria where she had her secondary education at St. Saviours School Ikoyi and Lekki British International High School before jetting off to the UK at the age of 15 to study fashion textiles at Central Saint Martins. Lola is sitting pretty at the number two position on this countdown. Chidinma Ekile fondly called Chidinma is a beautiful talented petite singer and songwriter who became famous after releasing her single titled ''Kedike'', In 2010, she won the third season of Project Fame West Africa. 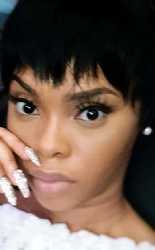 Chidinma is ranked as the 3rd most beautiful female musician in Nigeria. Madrina formerly known as Cynthia Morgan is a pretty Nigerian female musician that was born Cynthia Ikponmwenosa Morgan in 1991. Madrina started singing at a very tender age,at the age of 3,she was already a backup singer for her mother’s musical band. The talented pop,hip hop,dancehall and rap star became famous after she released two singles titled "Don't Break My Heart" and "Lead Me On". The Edo state born diva is the 4th female musician on this list. Yemi Alade was born Yemi Eberechi Alade in 1989. Her father is from the Yoruba tribe while her mother is Igbo. Yemi's sojourn into stardom began after she won the Peak Talent Show in 2009. Afterwards she released her most successful single titled ''Johnny'',the beauteous musician is the 5th female musician on this list. Niyola is a Nigerian female artist,singer,songwriter and performer whose birth name is Eniola Akinbo,she was born in 1985. Niyola was once signed to Banky W's EME’S record label. Niyola is holding down the 6th position on our countdown of the most beautiful female musicians in Nigeria. Sheyi Shey has been one of the most consistent female musician in Nigeria,Sheyi whose birth name is Deborah Oluwaseyi Joshua was born in the UK,afterwards she returned back to Nigeria for her secondary education at Command High School in Maryland,Lagos. She later went back to the UK to complete her education. Sheyi is ranked among some of the most beautiful Nigerian female musicians,she is the number seven on our countdown. 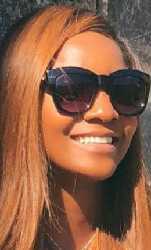 Simi is a fine Nigerian singer and a talented songwriter,she was born Simisola Bolatito Ogunleye in 1980. The former gospel artist became popular after she released a single titled "Tiff". The 9th most beautiful female musician in the Nigerian music industry is Niniola. Nini is a talented Nigerian singer and songwriter that was born Niniola Apata in 1986. She was the 3rd runner-up on the sixth season of Project Fame West Africa in 2013. Nini became famous after releasing hot banging singles such as "Maradona" "Magun" etc. Tiwa Savage is no doubt one of the most successful female musician in Nigeria. Tiwa Savage was born in 1980. The talented Nigerian singer,performer and actress is the 10th most beautiful female musician in Nigeria.